In June, Secretary of Homeland Security Janet Napolitano announced that young people who were brought to the U.S. as children would be allowed to apply for “deferred action,” a temporary immigration status that protects them from deportation and allows them to have permission to work. Deferred action would be valid initially for a period of two years. Born after June 15, 1981; Entered the U.S. prior to age 16; At least 15 years old at the time of filing the application; Enrolled in school, completed high school, were awarded a GED or were honorably discharged from the U.S. military or Coast Guard; Resided continuously in the U.S. from June 15, 2007 to the present; Not in legal immigration status on June 15, 2012; Not convicted of a felony, a “significant misdemeanor,” or three or more other misdemeanors. CIS also announced that the filing fee for the program will be $465, which includes the fee for employment authorization. Fee waivers will be available on a very limited basis. Importantly, CIS confirmed that it will not accept applications for deferred action under this program until August 15, 2012. Up until that time, applicants should be gathering proof of all of the above criteria, especially passports, entry documents, identity documents, birth certificates, diplomas, and school records. However, you should not file anything with USCIS at this time. USCIS has set up a website for more information about the deferred action program: www.uscis.gov/childhoodarrivals. 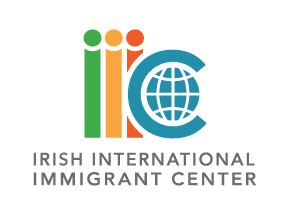 The IIIC will hold information sessions about the program on August 23 at 1:00pm, August 28 at 6:00pm, and September 17 at 10:00am. We will also be holding clinics to assist applicants in applying for deferred action, to be scheduled soon.